Put the zip back into your look with sleek soft style and lots of comfort wearing the SKECHERS Relaxed Fit®: Breathe Easy - Brisk Fleet shoe. 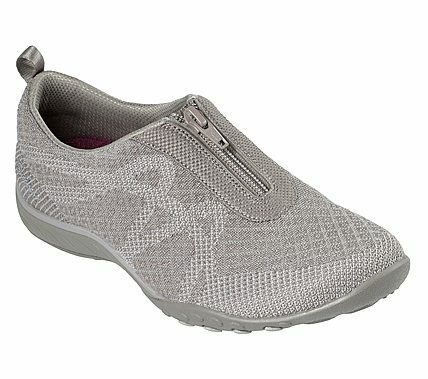 Skech Knit Mesh fabric upper in a zipper front sporty casual comfort sneaker with interwoven detail. Air Cooled Memory Foam insole.